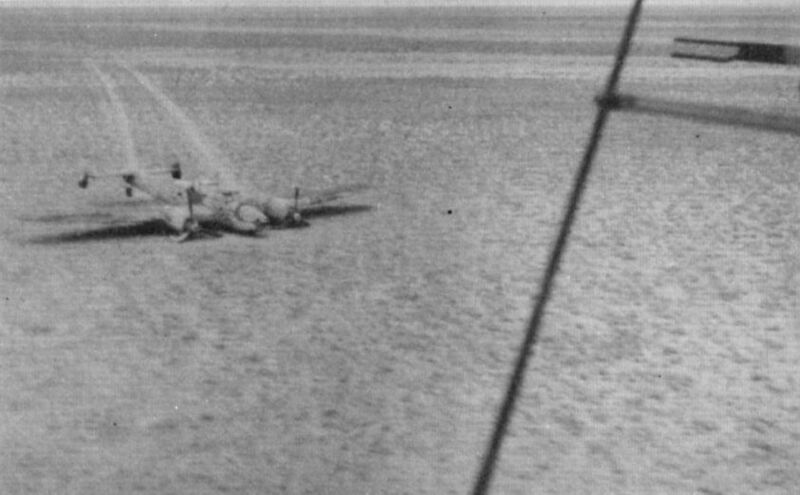 The Bf 110 seen from the Tiger Moth, before the armoured cars arrived. Inspecting the Messerschmitt Bf 110 after removal of the booby trap hooked onto the battery beneath the tailplane. Armoured car crews standing on the Bf 110’s tailplane after the bomb was made safe. 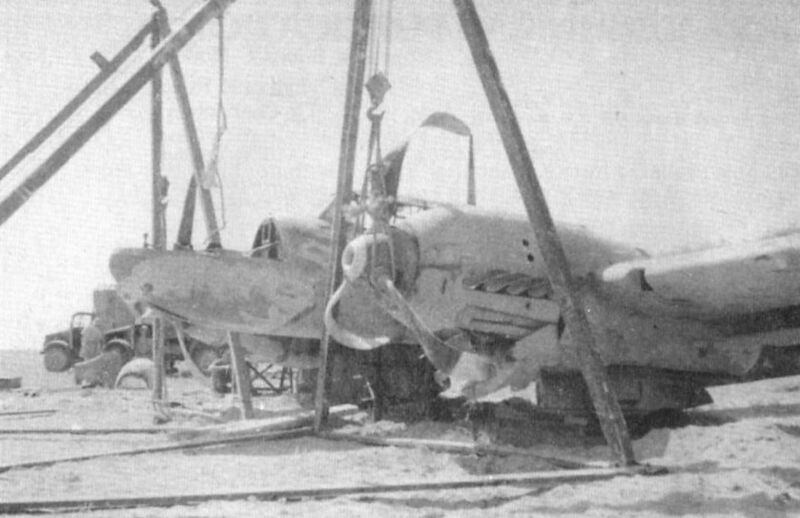 The Bf 110 on shear legs whilst a hole was dug to lower the wheels for towing. 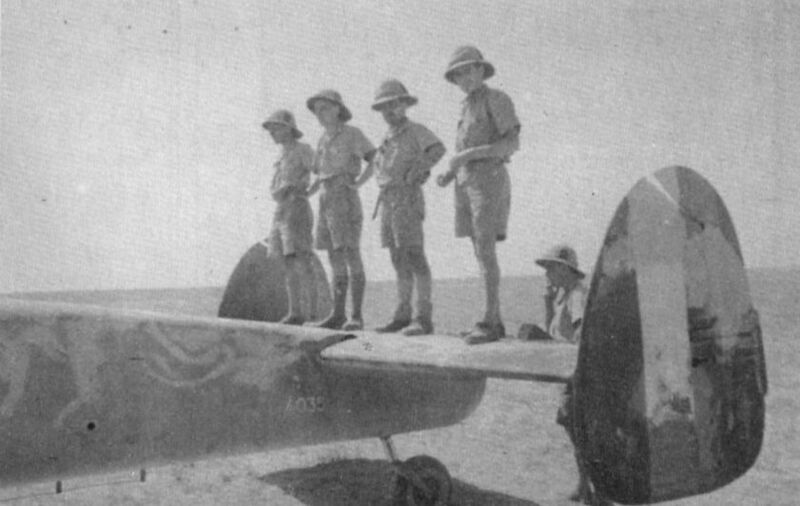 Habbaniya air base. 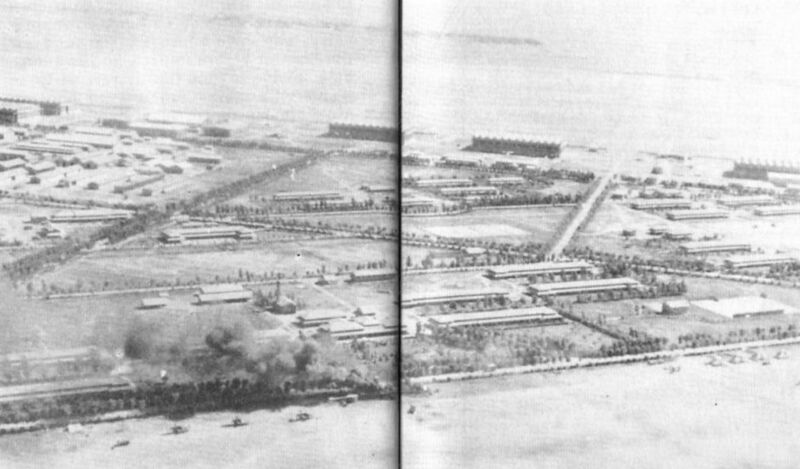 The airfield at the top of the picture was not used at the time. Some of the Harts and Gordons, which can be seen on the polo ground, are on fire.